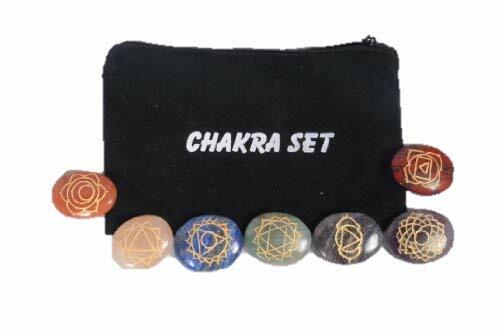 Jet Beautiful Chakra Sets of 7 Stones symbolizing body chakras. Useful to energizing and balancing body chakras for a better life. Can also be gifted to your near and dear ones. Comes with an attractive black velvet pouch with CHAKRA SET written on it.